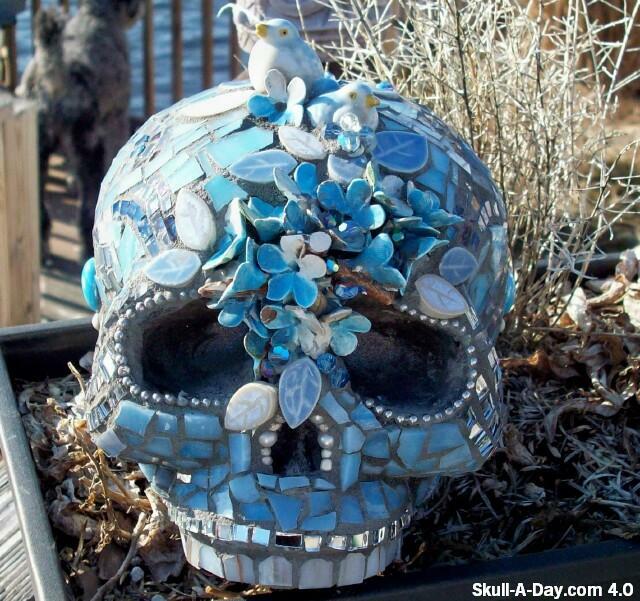 This came to us simply from “Saorsa54” who mentioned that this was a skull that they just recently completed. Mr. bluebird on today’s skull... My! Oh! My! What a wonderful day. I am drawn to the large eye sockets with the bead work as well as the shiny bits of mirroring that help break up the blue. You show some amazing skill in the execution of this piece. Thank you for submitting your work for us to share, and please remember us in the future if you decided to do more skullrific mosaic work.